The two wineries are some 11,000km apart, and the wines could not be more different, but they have one thing in common; Malbec, currently one of the most fashionable grapes. Cahors in France has just over 4,000 hectares of Malbec; Argentina has 31,000. By coincidence, winemakers from both places recently visited Ireland in the same week. Cahors is a very pleasant city, an hour’s drive north of Toulouse, famous for the magnificent Valentré bridge. It is surrounded on three sides by the river Lot. The river meanders westwards to the wine region, where the steep serpentine slopes offer a myriad of soils and meso-climates. The lower sandier slopes are said to produce softer, fruitier wines, the limestone plateau at the top makes wine with a firmer more tannic structure. Martine Jouffreau and Yves Hermann of Clos de Gamot have been together for 38 years and look the typical contented rural French couple with a keen interest in food and rugby. Their daughter, a nurse, lives in Dublin. The estate belonged to Martine’s grandfather who planted vines a 100 years ago that go into a special wine, Cuvée Centenaires, produced only in the best years. I am very fond of the Clos de Gamot, a wine that represents everything that is great about Cahors. There are other wines too. People often talk of the black wine of Cahors; this actually refers to an old method of concentrating the wine before blending it with those of other regions, notably Bordeaux. Basic Cahors can be a little thin and rustic, but there have been huge improvements in recent years. These days Cahors is more likely to be nicely aromatic, peppery and dry, with savoury plum fruits. It is not a big gutsy wine, but very satisfying. It needs to be drunk with food. If Cahors has an aesthetic austerity, Argentinian Malbec is perfumed and vibrant, with rich succulent softly-textured dark fruits, backed up with plenty of power. It is hardly surprising this style of Malbec has become popular the world over, and in the US in particular. It is a great partner for another Argentine speciality, barbecued steak. The Chakana estate was founded in 2002 by the Pelizzatti family, who originally came from Valtelina in Italy. I met up with the very affable Gabriel Bloise, head of operations at Chakana. “Our style of wine is changing; we are using less new oak, and less oak overall. We trying to produce more elegant wines,” he says. Chakana is based in Luján de Cuyo just south of Mendoza where it has 150 hectares of vines. A few years ago, it expanded into the Uco Valley further south. The Uco is one of the most talked-about regions of Argentina, partly as a tourist destination, but also for producing wines with intense colour and aroma, higher acidity and more succulent fruits. Lifted aromas, soft maturing ripe plums with good acidity and a solid savoury tannic core. Lovely wine. 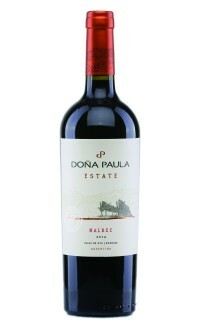 Very nicely balanced Malbec with perfumed floral aromas and plump ripe dark fruits. Stockists: widely available including Tesco, SuperValu and O’Briens. Rich meaty dark fruits with a nice fresh character and good length. With beef. Stockists: Donnybrook Fair; Gibneys; Hole in the Wall; The Corkscrew; No 21, Cork; Thomas Woodberry.